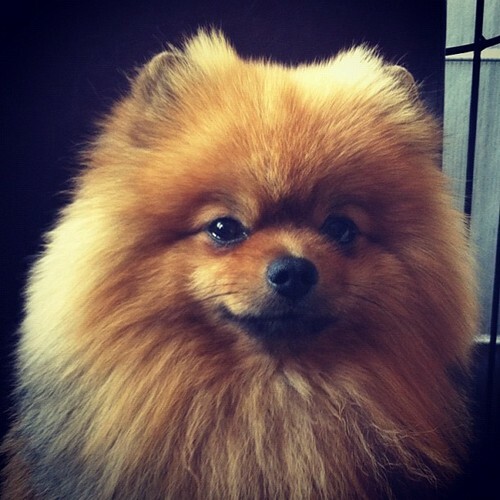 Pomeranians are little dogs with “big dog” personalities. While lively, friendly and fun, they can be slightly territorial. They grow very attached to their owners and can develop a protectiveness that makes them suspicious of strangers. This not only makes for a loyal, tried-and-true companion, it makes for a superb watchdog. Pomeranians, though small, can really deliver on the barks when a stranger approaches the house. In spite of this protectiveness, Pomeranians are not too clingy or codependent. And they’ll get along with every member of the family, including other pets, as long as they’re introduced properly. Intelligent, busy and curious, they have a lovable independence. But they crave your attention and playtime, sometimes responding by standing on their hind legs and barking happily. Pomeranians can sometimes be stubborn and willful, and they can easily dominate a weak-willed owner. A firm but friendly hand is needed day-to-day, especially when it comes to their barking. Pomeranians love to bark and bark and bark, sometimes for arbitrary reasons. If taught at an early age to limit the noise, they will. Always keep Poms on a leash. Like other proud and small breeds, they are blissfully unaware of their size. They have the tendency to “take on” larger dogs, so always keep them close and protect them from conflict. Pomeranians can shed quite a bit and need daily brushing to prevent tangling. Check their ears and ears regularly, and make sure they get scheduled visits to the dentist—Pomeranians’ teeth tend to gather tartar easily. They are very happy living in apartments as long as they get regular exercise and human interaction. 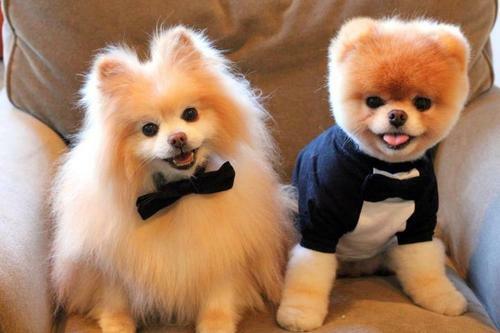 A healthy Pomeranian can live as long as 15 years. Common health issues include eye problems, dislocated kneecaps, tooth loss and molting. Descended from the Spitz family—specifically the sled dogs of Lapland and Iceland—Pomeranians were originally big, sturdy herders of sheep. Over time, they were bred down to a smaller size, becoming cherished pets of Marie Antoinette, Mozart and (famously) Queen Victoria, whose preference for small Pomeranians created a worldwide demand. During the late 1800s they came to the U.S., and the American Pomeranian Club held its first show in 1911. Ever since, their good temper and small size have made them an enduring favorite in the U.S. Overall, Pomeranians have a poised and proud carriage. Compact, sturdy and fluffy with slightly rounded, wedge-shaped heads, straight muzzles and pointy ears, they sometimes have a fox-like appearance. They have dark, deeply set eyes and an overall alert and lively expression. Their undercoats are dense and soft, their outer coats rough, profuse and puffy, while their feathered tails curl over the back. Coats can be nearly any color, but the most common are red, orange, off-white, brown or black.